I'm so excited to be joining Alison@The Polohouse for Favorites on the First. The theme this month, is sharing your favorite front door decor. ... and I just added a few more succulents and a few other flowers from an old wreath. What do you think? Do bee skeps and succulents work together? ...recognize some of the plant material? I've used the tulips and hydrangeas in several posts and the berries and small white flowers for the bee skep. I'm definitely getting a lot of use from these flowers. Please be sure to visit Alison @ The Polohouse for Favorites on the First, and share your favorite door decor. I LOVE that first one with the BEE SKEP and YES the succulent work. BUT at my house "BIRDS would move right in there and I'd have to use my other door"! NOT that it's a bad thing, "I'd LOVE that too"! Both door arrangements are darling...I love how you used the bee skep! Very original and cute. Love the succulents! 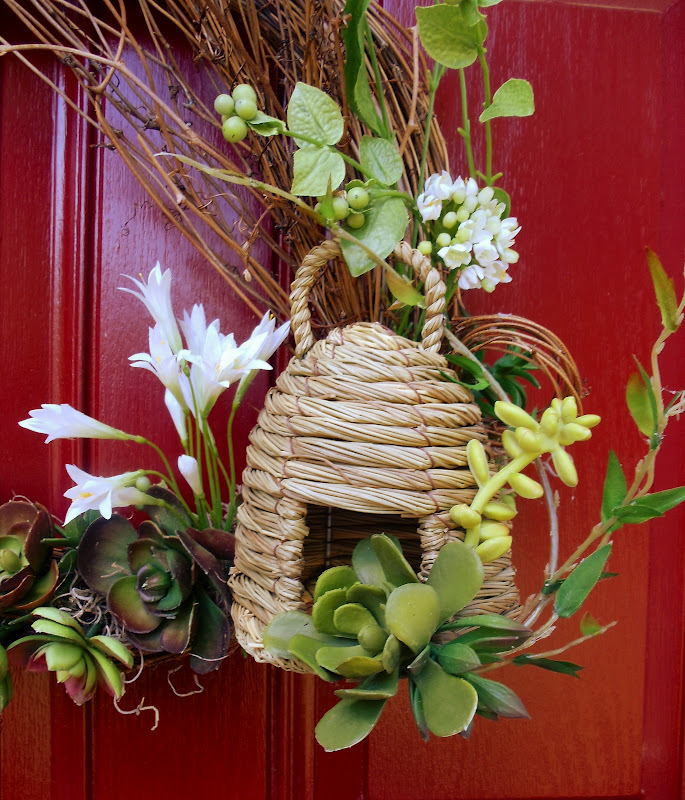 That is adorable, love the bee skep and the succulants, it made a very pretty wreath! What a great find...anything with bees or skeps is so hard to obtain!!! 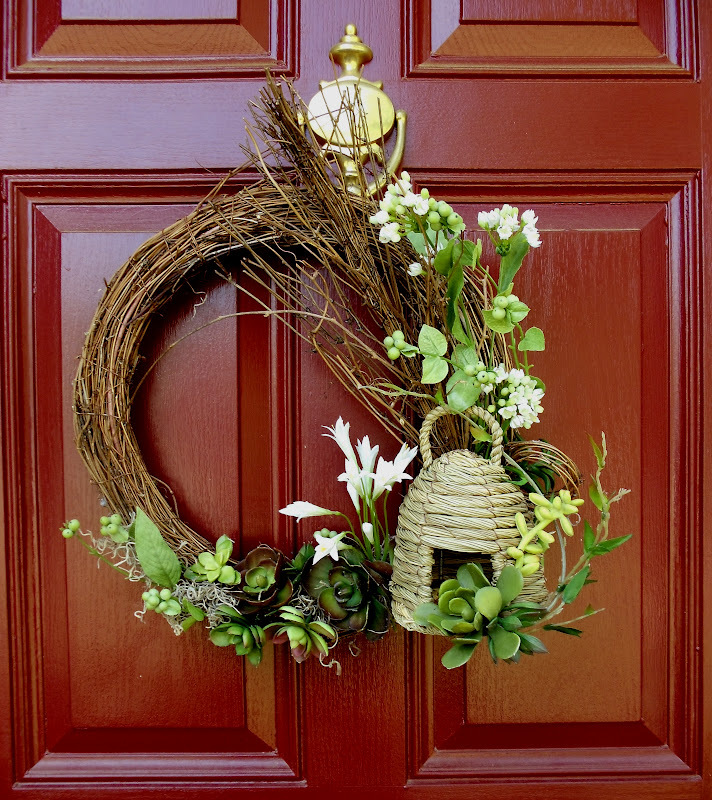 Your front door decor is stunning! So beautiful, I like the bee skeps with the succulents...it looks very inviting. 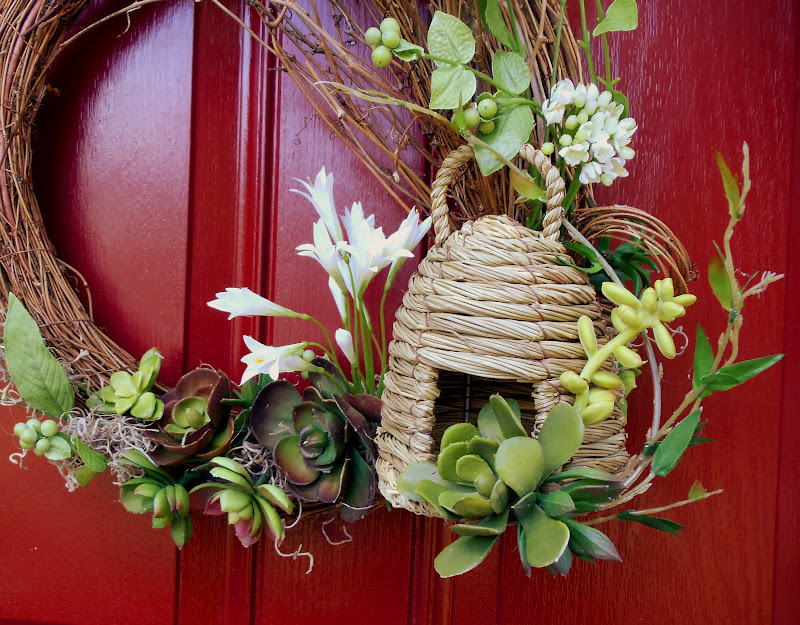 I just adore your wreath with the bee skep and succulents! I think they go together just fine. I don't have anything hanging on my front door and plan on leaving it that way since I have leaded glass in my door. I've got enough decor on my porch anyway. Should be a good party with lots of ideas! Love it! Succulents and bee skeps? An adorable combination. Great job with that wreath arrangement! Love the wee skeep. Sat that three times. 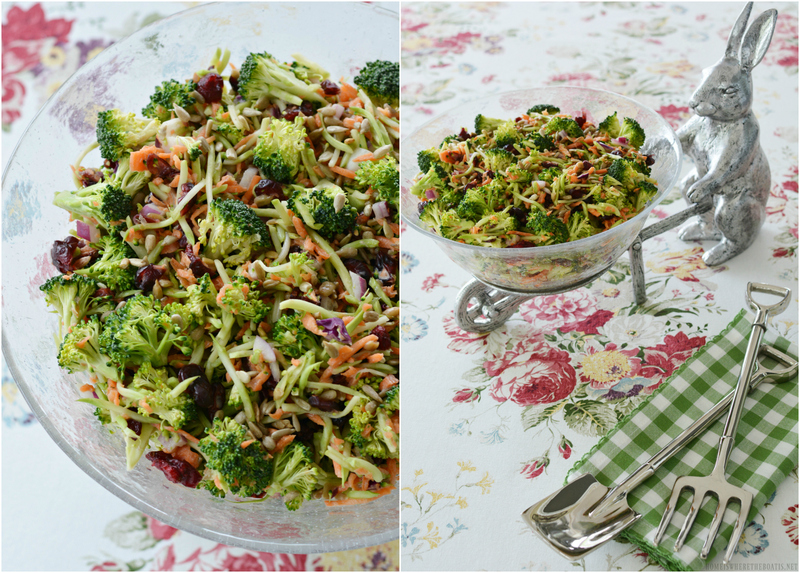 Babs, what a great combo! I love succulents! Your basket from last year was pretty, as well! Love it! Babs, this is very clever!! I love this combination. I've probably told you this before but I think you are brilliant! I love the bee skep on the wreath. I have a bee skep just sitting on my back porch...it may just end up on my door. Great inspiration and beautiful wreath. Have a good week! Love the bee skep and the succulents on the wreath! It looks beautiful on your red door. Babs, the bee skep and succulents definitely work. This is a darling idea. Makes me want to rush out to Michaels and see if they still have these little charmers. Great door display! I also liked last year's too! Hi Babs, I love the bee skep addition to the wreath. I think it looks adorable! I love your red door too. What a great idea for a party! I'm never as pleased with my front door in reality as I am with the one in my head. I love the bee skep. It's completely unique and creative, and yes I DO like it with the succulents. It's pretty! Yes I think bee skeps and succulents go together. Bee skep plus succulents on a wreath? YES! I think it works beautifully! Love your arrangement from last year too. Your red door sets everything off so nicely. The bee skip and succulent wreath is so pretty. :D Love it! It is absolutely adorable! I think things always work if you like the way they look. That's my opinion, anyway, & I think the bee skep & succulents are perfect.